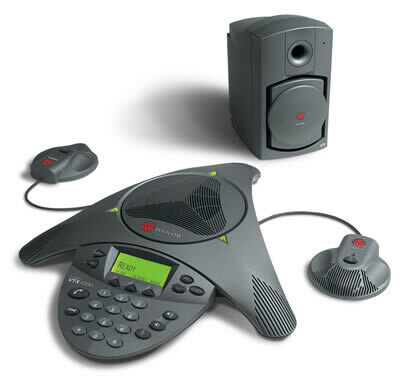 The SoundStation VTX1000 enables you to speak naturally from 2 feet to 20 feet away from the microphone, so those on the remote end of the call can hear you clearly - leading to increased productivity, faster decision making, a higher competitive advantage, and much happier conference call participants. And, you can download new software for additional features and functionality simply by dialing a number right from your SoundStation VTX 1000 - that's built-in investment protection! Now is the time to experience the SoundStation VTX1000. It's the perfect solution for any size conference room and will provide full room coverage for a 54' x 40' room.